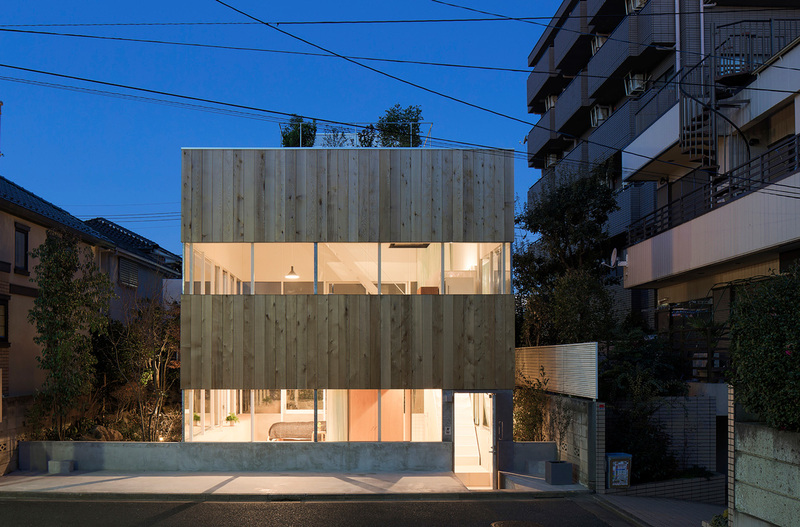 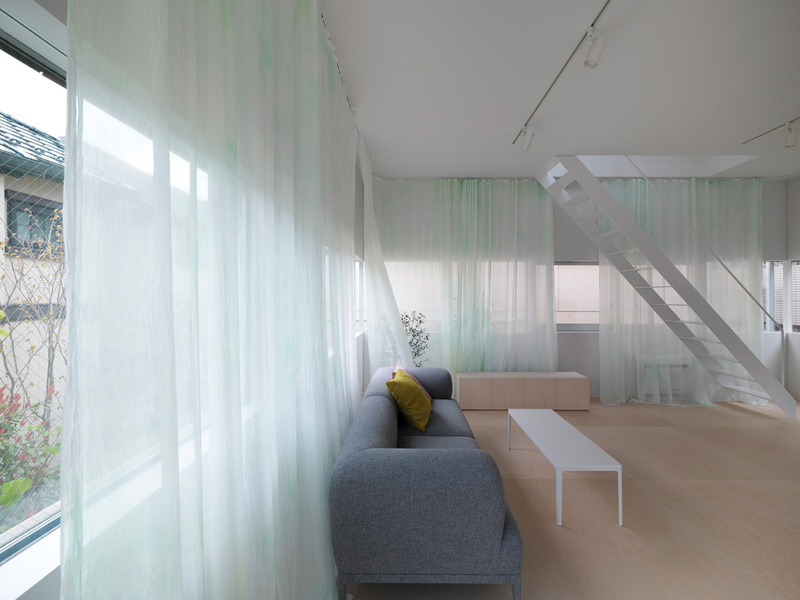 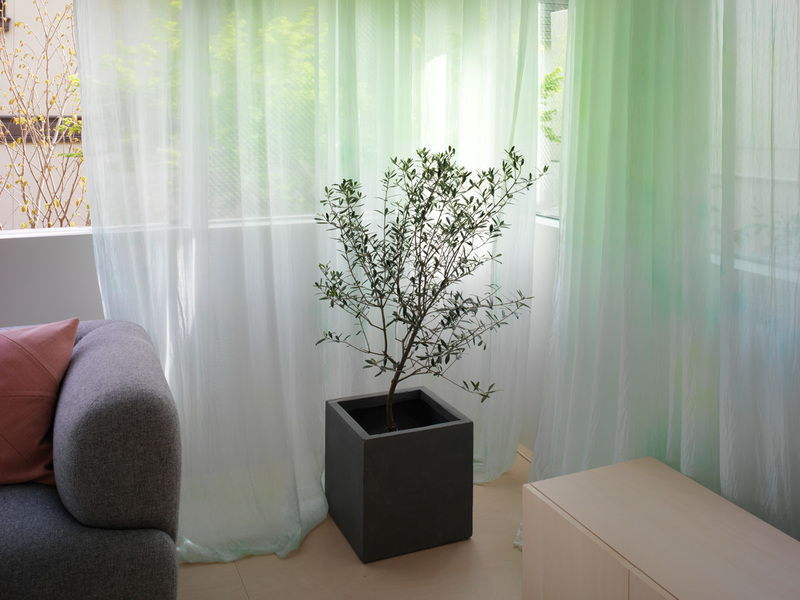 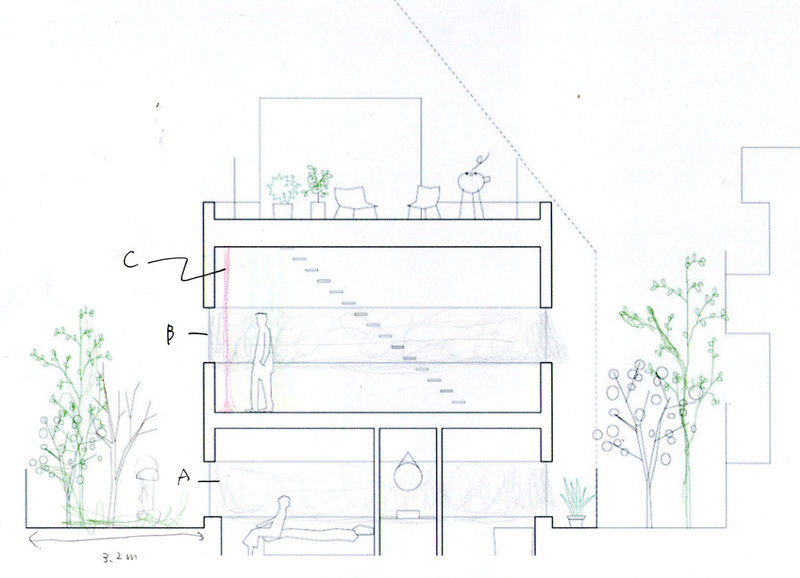 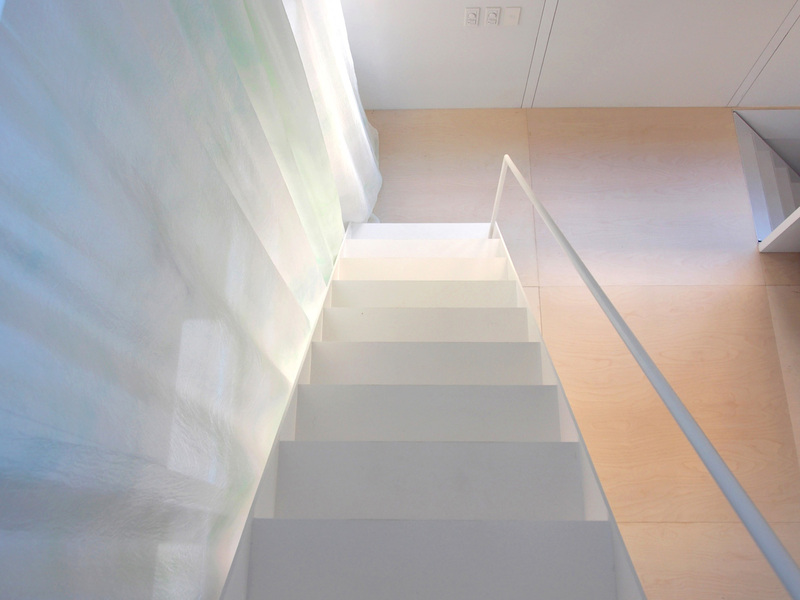 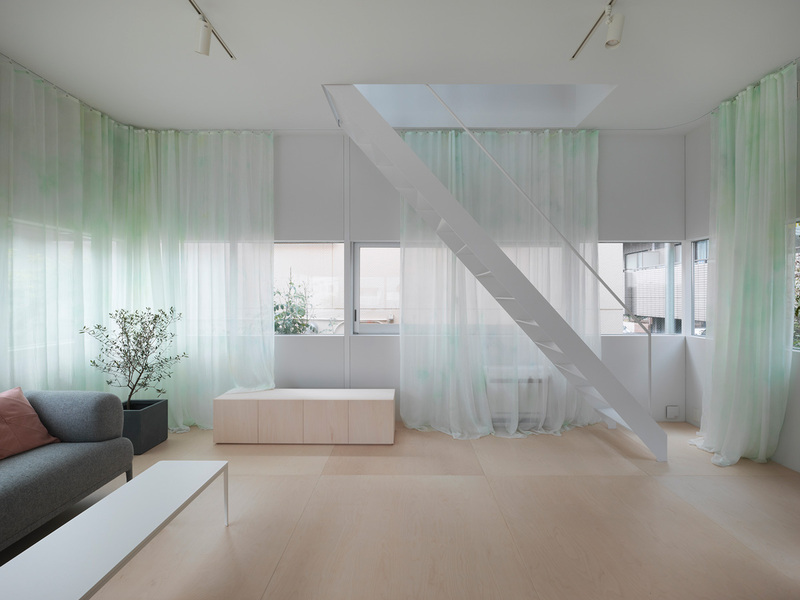 Studio Akane Moriyama did hand-dyed silk curtains for a private house by Elding Oscarson Architects in Tokyo, Japan. 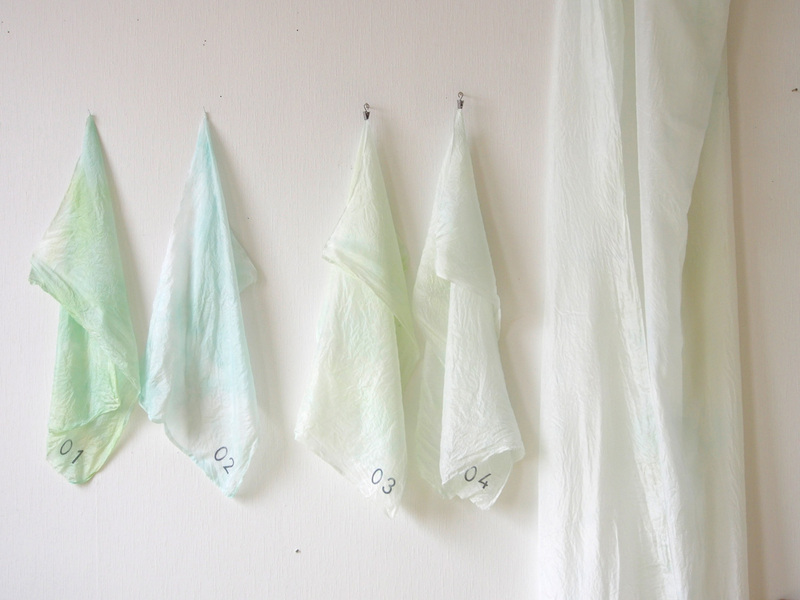 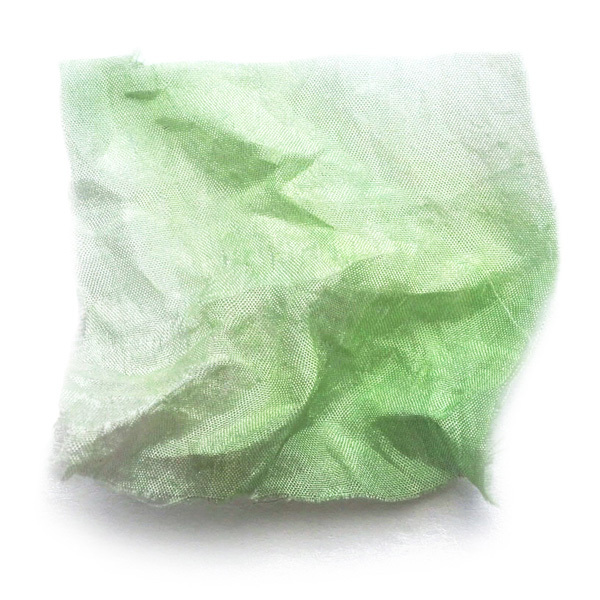 The thin silk fabric is flecked with pale blue, yellow and grey pigments. 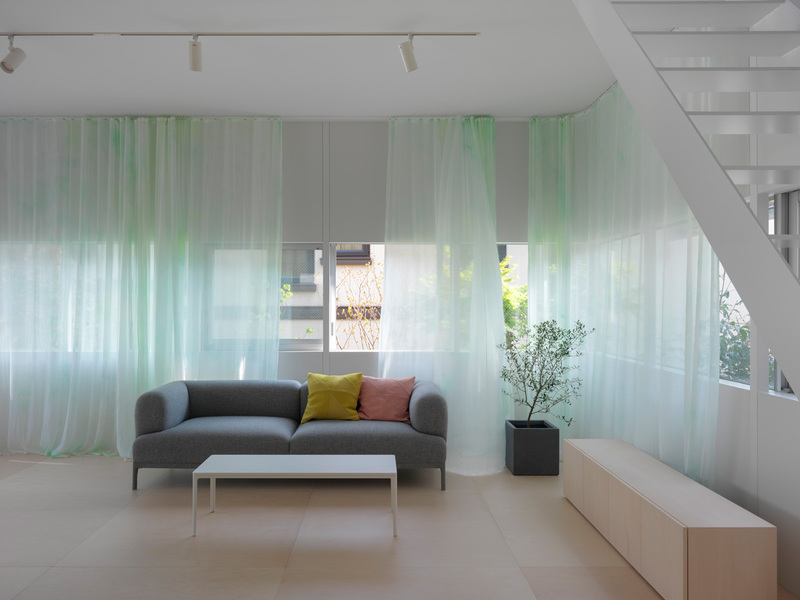 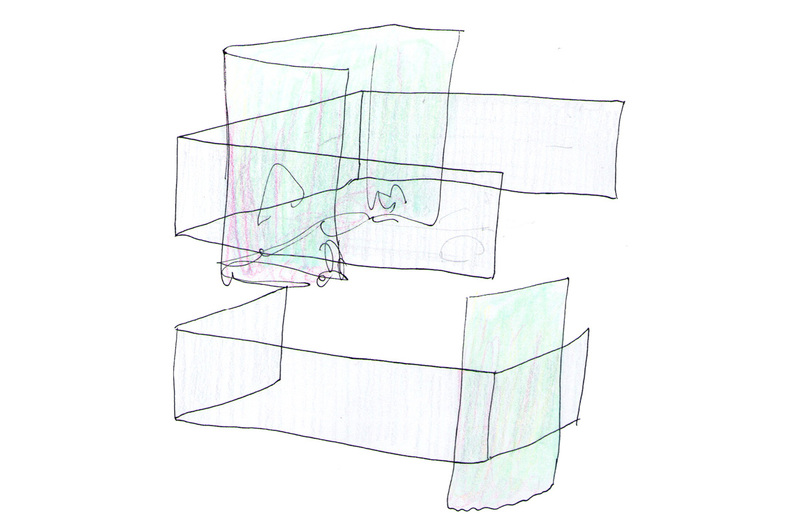 The curtains look almost white when they are spread open, while the colour becomes intensified when curtains are gathered, creating more vivid hues of colour in the space.